The global consumer-packaged-goods (CPG) sector is projected to nearly double in size to $14 trillion by 2025 from $8 trillion in 2014. This undoubtedly indicates scale of opportunities that are present in the FMCG Industry. If you are a marketer looking for qualitative marketing database to connect with top level executives, key decision makers and professionals in the consumer goods industry, Blue Mail Media’s Consumer Goods Industry Mailing List can be very instrumental. 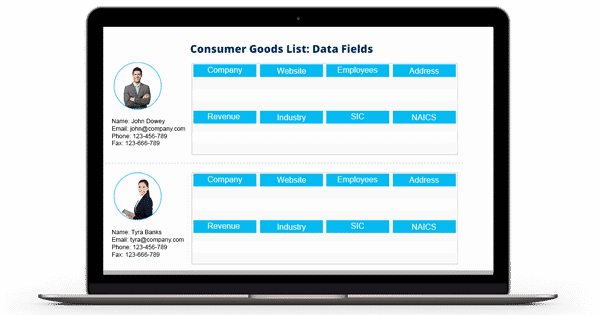 Our database of FMCG executives is highly accurate and reliable and allows you to reach out to your target market via multiple channels such as telephone, email or mail. For a marketer who wishes to explore new opportunities in the fast moving consumer goods sector, our Consumer Goods Industry Executives Email Database acts as a reliable resource and allows you to execute your multi-channel marketing campaigns in a flawless manner. Our data specialist team follows a stringent process of data collection, verification, and update to make sure our FMCG Email List remains up-to-date at all times. Over the years, Blue Mail Media has built a well established partner network across USA, UK, Europe, Canada, Russia, China, Germany, India, Australia and other regions, which enables us to help clients without regional constraints. Our clients enjoy greater flexibility as they can choose from our pre-packaged list of Consumer Goods Industry Executives or they can opt for a custom built list configured as per their campaign specific requirements.